Multi-Faith Saskatchewan and Multicultural Council of Saskatchewan collaborated in the production of this 45-minute video to mark the 150th Anniversary of Canadian Confederation. 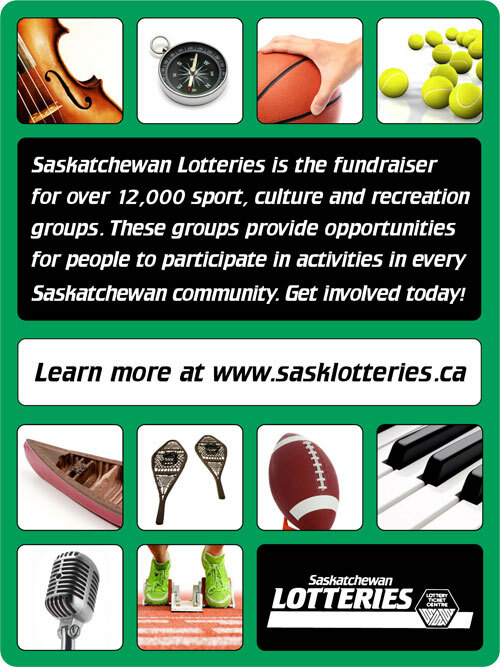 The project was supported by the Community Fund of Southern Saskatchewan as well as numerous cultural organizations, faith communities and volunteers. Access Communications donated its services in producing the video. The main features of the video are the hopes and wishes by children of different faiths and cultural groups for a peaceful and harmonious Canada, silent prayers, cultural performances and the national anthem by all participants. For more information about Multi-Faith Saskatchewan visit http://www.multifaithsask.org/. You can view the video embedded below and share it with your networks. Dear interfaith colleagues across Canada: This bilingual poster featuring Golden Rule texts from 13 religions is published by Scarboro Missions and Réseau pour la santé spirituelle au Nouveau-Brunswick/New Brunswick Spiritual Health Network. The two official languages of Canada are English and French. The beautiful open-book design of this poster wonderfully symbolizes the larger message of the poster. Please consider forwarding this announcement to colleagues and friends and posting it on websites and social media. Below, please find a French-language version of this announcement. To view, download or print the poster free of charge, see attachment. Chères amies, chers amis, cette affiche bilingue publiée par Scarboro Missions et le Réseau pour la santé spirituelle au Nouveau-Brunswick présente la Règle d’or telle qu’elle est exprimée par 13 religions. Les deux langues officielles du Canada sont le français et l’anglais. L’image inspirante du livre ouvert symbolise merveilleusement le message de l’affiche. Veuillez transmettre cette annonce à vos amis et collègues et l’afficher sur vos sites Web et dans les médias sociaux. Pour visualiser, télécharger ou imprimer l’affiche gratuitement, voir la pièce jointe. Sask Trends Monitor tracks social, economic, and demographic trends in Saskatchewan. The newsletter is published monthly by QED Information Systems, a Regina based consulting firm specializing in surveys and statistical analysis. Sask Trends Monitor is in its 25th year of publication. Doug Elliott is the owner of QED Information Systems and publisher of Sask Trends Monitor. We thank Doug for allowing us to make this issue available to the public. This new resource will be of value to newcomers, and to those who help them. Please feel free to copy and distribute to students, clients, families, etc. The list is available on the Regina Region Local Immigration Partnership (RRLIP) website – http://rrlip.ca/pages/ethnic-grocery-stores-regina – under the ‘Resources’ tab. Fifteen years ago, the Aboriginal Rights Coalition worked with Indigenous elders and teachers to develop an interactive way of learning the history most Canadians are never taught. Two scripts are included: one for youth and adults, the other for children and younger teens. The exercise uses blankets to represent the lands of what is now called Canada, and the distinct cultures and nations which live on those lands to this day. Participants represent the First Peoples; when they move onto the blankets, they are taken back in time to the arrival of the Europeans. The Narrator and a European (or two) work with the participants to read a script while the exercise goes through the history of treaty-making, colonization and resistance that resulted in the nation we today call Canada. This resource will help you design a multicultural education initiative/project. Don’t miss the three free training videos that will be available starting in early January, 2016. Regina officially launched the Welcome to Regina website, which was designed specifically for immigrants, to provide them with the information they need to succeed in Regina. The website was developed in partnership with stakeholders based on consultations with immigrants, immigrant-serving organizations and partners. The website focuses on ease of navigation and provides first-point-of-contact that allows immigrants to find information and sources they need to settle in Regina. Saskatchewan Economic Development Association (SEDA) is offering the online program: Introduction to Community Economic Development for Western Canadian Provinces. This program would be of interest to anyone in need of improving their abilities to facilitate community-based economic development in Saskatchewan. Visit Grow Our Region for more information. The interactive program, Live Action English 2, was developed in order to help students improve their basic language skills. Due to continued success of the original program, Live Action English 2 was created. Please feel free to visit our website at http://www.nas.ca for more information about this and other products. Voices into Action (http://voicesintoaction.ca/Home/Splash) provides comprehensive, carefully researched materials developed at U of T/OISE, ready to meet curriculum indicators. Units include: Islamophobia, the Holocaust, the Aboriginal Experience, Cyber Bullying, Gender, Disability Rights, GLBTQ, Japanese WWII internment and much more. The Canadian Race Relations partnered to create “Exploring Canadian Values” – what it means to be Canadian! Not just for universities, this book focuses on creating multiculturual change in individuals, groups and institutions. This book offers concepts and strategies for those who wish to foster the awareness, knowledge, and skills necessary for multicultural change on an institutional level. Museums Association of Saskatchewan members have the opportunity to borrow materials from the MAS library. Contact the office at 306-780-9279 to reserve a book or request it using our online resource request form. The Canadian Radio-television and Telecommunications Commission (CRTC) has issued an FAQ for registered charities and a statement regarding the CRTC’s general approach to enforcement regarding Canada’s new anti-spam laws. Changing demographics… is your organization ready? The Regina Children’s Initiative represents the movement towards improved outcomes for children prenatal to six and for their families in Regina. By working together we can create a community where all children and families are thriving and have the supports and services to enable them to meet their full potential. Lynda Gellner, Regina Early Years Family Centre Developer, 1672 Albert St. Regina, SK S4P 2S6. Ph: (306) 535-5993. Email: info@reginakids.ca. Web site: familycentre@reginakids.ca. This documentary pokes fun at the ways in which Inuit people have been treated as “exotic” documentary subjects by turning the lens onto the strange behaviours of Qallunaat (the Inuit word for white people). The term refers less to skin colour than to a certain state of mind: Qallunaat greet each other with inane salutations, repress natural bodily functions, complain about being cold, and want to dominate the world. Their odd dating habits, unsuccessful attempts at Arctic exploration, overbearing bureaucrats and police, and obsession with owning property are curious indeed. A collaboration between filmmaker Mark Sandiford and Inuit writer and satirist Zebedee Nungak, Qallunaat! brings the documentary form to an unexpected place in which oppression, history, and comedy collide. View the documentary here: http://www.nfb.ca/film/qallunaat_why_white_people_are_funny. In the last year, SGI has invested considerable time and effort towards a very worthwhile endeavour – that of helping Saskatchewan’s new citizens. Driving is a privilege and ensuring traffic safety for all road users is SGI’s top priority. Listed below are a few initiatives that your agency may not be aware of and that you may wish to pass along to your clients. These initiatives will assist newcomers in earning a driver’s licence and will ensure they have a good understanding of Saskatchewan’s driver licensing requirements and rules of the road. Our new driver testing service makes a world of difference! SGI has implemented an electronic translator application on all testing computers and you wouldn’t believe the difference it has already made. English is not the first language of many of our customers, and trying to pass the exam in English has been a very frustrating experience for some. This feature allows new residents to read a translation of the test questions and answers in their own language. To see our new United Nations Convention on the Rights of the Child posters, please click here: www.thehealthyaboriginal.net/UNCRC. To see our new augmented reality knowledge transfer posters, please click here: www.thehealthyaboriginal.net/augmented. Or you can watch a video demonstration below or at www.youtube.com/user/HealthyAboriginal. To learn more about this organization, visit: http://www.thehealthyaboriginal.net/. Looking for Words Software combines reasoning skills with vocabulary building, while at the same time provides students with the opportunity to explore different environments in school, home and neighbourhood settings. Engaging graphics, interesting animation and clear speech help teach hundreds of words in context. The software also provides material which can be used for reading enrichment. NAS Software Inc. carry other Literacy and ESL Software. Click here for Elementary students. Click here for Secondary students. Click here for Adult students. Please feel free to visit our web site at http://www.nas.ca for more information about this and other products. Link for video and web site here: YouTube video and web site at www.tribalnationsmaps.com. This organization offers free and affordable webinars on a variety of topics from social media to boards to writing that can help improve your business. The webinars are offered frequently and many repeat as recorded versions. The key is to check their site often as they offer webinars on a continual basis. At Four Directions Community Health Centre, we strive to build on the strengths of both our clients and staff to enrich lives through supportive and nurturing services. We work with the changing needs of our diverse population to achieve health and wellness for individuals, families and our community. Visit the website here: www.rqhealth.ca/programs/comm_hlth_centres/four_directions/4directions.shtml. So begins Rival Schools’ first story, The Story of Kalkalilh, in their three part book series of digital story apps for kids inspired by Canadian Indigenous Peoples oral histories. Ningwakwe Learning Press has developed lesson plans to go with the engaging, contemporary, cultural content that CBC has produced in their series, ReVision Quest. This mini book is not meant to be accusatory, but is designed to put the basic facts and truths down in simple words and design, providing an excellent Aboriginal primer. This new release continues the voice of its sister book, A is for Assimilation, but surpasses it in its bluntness by addressing head on the misconceptions and untruths that continue to malign First Nation People.